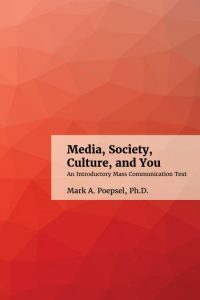 Media, Society, Culture and You by Mark Poepsel (Southern Illinois University Edwardsville) is an approachable introductory text that covers major mass communication terms and concepts, including digital culture, social media, gaming, propaganda, and ‘sharing’. Take a look at the book online, download it in multiple formats, and keep reading to learn more! We’re excited to announce the release of Media, Society, Culture and You, a new open textbook by Mark Poepsel from Southern Illinois University Edwardsville. 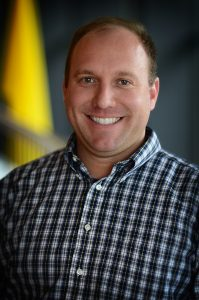 Mark discusses various media, platforms, phenomena, and social implications, including their history and how they are evolving as information and communication technologies change. Mass media educators will find that this approachable text helps direct students’ attention to the current crisis in political communication and action, including the roles of social media and the network society. The book’s purpose is to dive deeper into ideas about how society and culture are rapidly changing in correlation with evolving information and communication technologies. Once students have a grasp of what the network society is and what the information economy is, hopefully they can plan mass media careers that can withstand change. If you’d like to join the conversation with Mark, take a look at the book online, in multiple formats including PDF, EPUB, MOBI, or in editable formats such as XHTML, WXR, XML, and ODT. And if you’re interested in adopting or adapting the book, please let us know by filling out our adoption form!